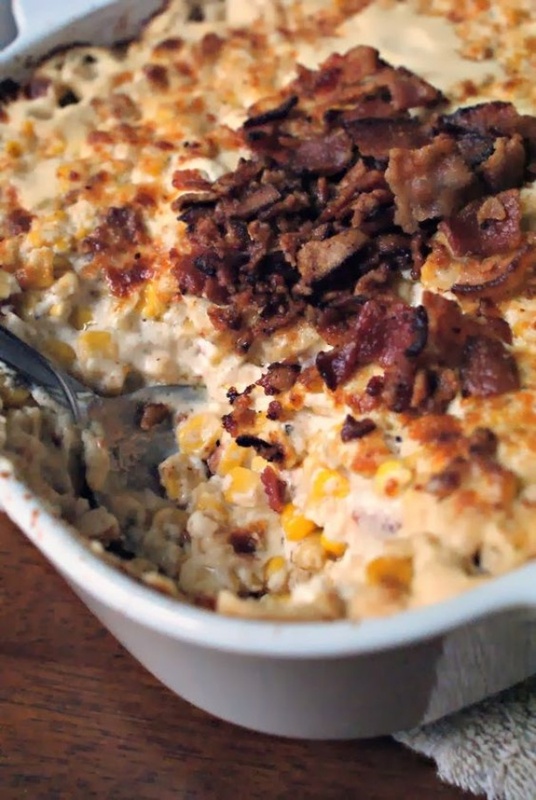 Baked Cream Cheese Corn With Crumbled Bacon By Becky Tarala from The Two Bite Club. Full of creamy, cheesy, bacony goodness! It will be the star of your holiday spread!